If you’re a gay couple who is experiencing relationship distress or seeking enrichment for your partnership, then couples counseling can be a fantastic venue to explore to strengthen your bond, resolve relational issues, and promote greater love and commitment. Once taboo, the stigma associated with counseling has, thankfully, begun to decline in recent decades, and it can even be considered trendy to have a therapist collaborating with you to manage life’s ups and downs. But when you’re gay, it can be a bit challenging finding resources to ensure the therapist you choose to help you with your problems is actually gay-friendly, affirmative, and well-trained in LGBT issues. While some relationship struggles are universal among all people, gay relationships also have some unique dynamics that are best served working with a professional who has the education, training, and skill in being able to help with our particular needs. Here are the six best places to find gay counseling as well as some of my top tips for making sure you have a successful experience. Below are a variety of places to help you narrow down your search and make your selection of a therapist less cumbersome and more targeted to your situational needs. The GLBT National Help Center is a very valuable resource to have on hand! If you’re in crisis and you need to speak to someone, this organization is available to offer caring support from people who understand the unique needs and issues of our LGBT community. It also holds a powerful database of referrals and resources for gay-friendly organizations and services, including couples counselors, in your area. AAMFT is the professional association for marriage and family therapists who have been specifically trained in relationship issues. Housed here is a therapist locator by state, city, and zip code. Oftentimes, sexual issues can accompany relationship problems for many couples. 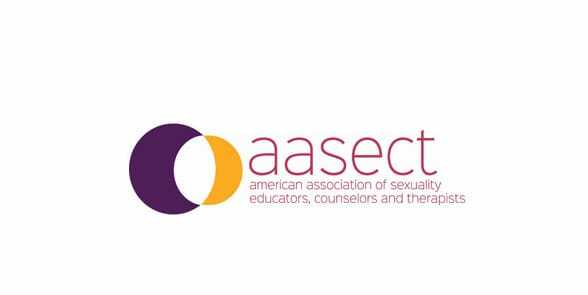 AASECT is the professional association for sexuality professionals specifically trained and certified in sexuality issues. Here is a therapist locator by state. AASECT provides a therapist locator so you can easily find someone near you. Currently one of the largest find-a-therapist online referral search engines available, Psychology Today can help you find a counselor by selecting your city and state and choosing among a variety of topical issues and specializations the counselors have. GLITSE is a long-standing referral search engine to help you find an LGBT therapist suitable for your needs. Reach out to your health insurance provider and request some referrals to therapists in your area who specialize in work with the LGBT population. Keep in mind not all insurance companies cover couples counseling, so you may have to pay out of pocket. Another option is to ask your employer if you have an employee assistance program. If so, you may have counseling services available as a free benefit to you and similarly to a health insurance provider, you may request referrals from the EAP to an LGBT counselor. Now that you know where to find a gay couples counselor, here’s what you need to know about actually choosing and researching the right one. When searching for a therapist on an online search engine or through your health insurance plan, be sure to verify that the particular counselor specializes in gay and lesbian counseling. Some of these databases may only say “couples counseling” and you will want to make sure the clinician works with and has training in gay marriage counseling. As a consumer, you have the right to know what to expect when you sign on with a counselor and to know more about the professional’s background and experience. Be sure to call the therapist and ask them questions about their clinical experience working with LGBT individuals, couples, and families. Ask them what their approach for working with couples entails and what theories and techniques they embrace. Talk with your prospective counselor on the phone and check out his or her website before committing. The Gottman Method and Emotionally-Focused Couples Therapy are two such relationship models that have proven to be highly effective in working with couples. You want to assess the professional’s attitude about working with gay clients, if they are affirming and non-biased, and if you feel comfortable with their demeanor. If anyone mentions gay conversion therapy, run for the hills, as this form of therapy can be dangerous and homophobic. Make sure the therapist is affiliated with a professional organization related to coupled relationships and they engage in continuing education related to couples therapy and LGBT issues. Being aligned with an organization like AAMFT or AASECT demonstrates a counselor networks and keeps abreast of current trends and research in the industry. These organizations also require a certain number of continuing education hours to maintain their licenses or certifications and this helps to ensure ongoing education in couples-related issues to further hone their craft. Nothing is more dear to us than our relationship with our life partner, so making the right choice of therapist requires adequate research and due diligence to ensure you are aligning yourself with the right professional to help you strengthen your most important bond. It can be one of the best decisions you ever make. So happy hunting and all the best on your relationship journey!